Grand Marnier is an orange-flavored liqueur made from a blend of Cognac brandy, distilled essence of bitter orange, and sugar. Even though it is a flavored liqueur, it is still 40% alcohol by volume, which is more than most other flavored liqueurs. 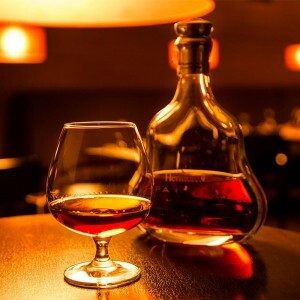 Grand Marnier was founded in 1880 by Alexandre Marnier-Lapostolle in France. Although it can be used for mixed drinks or drank neat, it is also used in cooking and desserts, especially in France. The main product is the Grand Marnier Cordon Rouge which is the “Red Ribbon”. There are several other varieties such as Cordon Jeune (Yellow Ribbon), Cuvee du Centenaire, Cuvee Speciale Cent Cinquantenaire, and Cuvee Louis-Alexandre Marnier-Lapostolle. Below are the latest Grand Marnier prices. Grand Marnier Orange Liqueur is an orange-flavored liqueur so you would usually mix it with something stronger such as vodkas or various juices if you want a fruity drink. There are many possibilities to create, and remember, you can always just get it on the rocks as well. B-52 #2 – 1 oz. Grand Marnier Orange Liqueur, 3/4 oz. Kahlua coffee liqueur, and 1/2 oz. Baileys Irish cream. B-52 #3 – 1/2 oz. Grand Marnier Orange Liqueur, 1/2 oz. chocolate liqueur, and 1/2 oz. Irish cream. Cafe Marnier – 1 1/2 oz. Grand Marnier Orange Liqueur, 5 oz. coffee, and 1 oz. whipper cream. Creamsicle #3 – 1/2 oz. Grand Marnier Orange Liqueur, 1 1/2 oz. vanilla liqueur, 1 splash of orange juice, and 1 pinch of sugar. Full Moon #2 – 1 part Grand Marnier Orange Liqueur and 1 part amaretto almond liqueur. George’s Jungle – 1/2 oz. Grand Marnier Orange Liqueur, 1/2 oz. Triple sec, 1/2 oz. peach schnapps, and 1/2 oz. cranberry juice. Slaughtering the Slothman – 4 oz. Grand Marnier Orange Liqueur, 4 oz. Orange Curacao liqueur, 1 dash of grenadine syrup, and 1 oz. lemon juice. Grand Soda – 1 1/2 oz. Grand Marnier Orange Liqueur and 3 1/2 oz. club soda, and juice of 2 lemon wedges. Grand Cran – 1 oz. Grand Marnier Orange Liqueur, 3 oz. chilled cranberry juice cocktail, and 1 1/2 oz. fresh lime juice. Grand Ginger – 1 1/3 oz. Grand Marnier Orange Liqueur, 4 oz. ginger ale, and lime wedge. Grand Mimosa – 3/4 oz. Grand Marnier Orange Liqueur, 1 oz. orange juice, and 3 oz. champagne. The Perfect Storm – 1 1/2 oz. Grand Marnier Orange Liqueur, 2 fresh lime wedges, 3 oz. spicy ginger beer, 3 drops Angostura bitters, and orange peel. The Breakfast Martini – 3/4 oz. Grand Marnier Orange Liqueur, 3/4 oz. Kettle One vodka, 1/2 oz. fresh lemon juice, 1/2 oz. fresh grapefruit juice, 2 barspoons of orange marmalade, and 1/2 oz. egg whites. Grand Cosmopolitan – 3/4 oz. Grand Marnier Orange Liqueur, 1 oz. vodka, 1 1/2 oz. cranberry juice, and 1 dash of lemon juice. Grand Raspberry Fizz – 1 3/4 oz. Grand Marnier Orange Liqueur, 1 oz. raspberry sorbet, 1 oz. lime juice, 2 tsp. simple syrup, 1 dash of raspberry syrup, and 1 3/4 oz. soda water. Grand Manhattan – 1/4 oz. Grand Marnier Orange Liqueur, 1 1/2 oz. Bulleit bourbon, 1/4 oz. sweet Vermouth, and 1 dash of bitters. What Is “Palcohol” and Why Is It Banned in Several States?